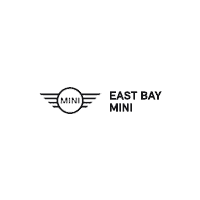 Pre-Owned 2019 MINI Cooper S Countryman JUST 2,100 MILES!!! Pre-Owned 2019 MINI Cooper S Clubman JUST 3,291 MILES! Leasing for above average qualified buyers through MINI FS $209 plus tax per mo. for 36-month term. Based on selling price of $30,750. Original MSRP $37,250. $5,598 due at signing includes first months payment, acquisition fee, dealer documentation fee and license/registration fees. No security deposit required. All advertised prices excludes government fees and taxes, any finance charges and any emission testing charge. Lessee responsible for excess wear, tear and mileage over 30,000 miles total lease term @ $0.25 per mile over allowance. Vehicle was previously in service loaner. One at this price stock #M19075L/VIN 2E51704. See dealer for complete details. Offer expires 4/30/19. 2019 MINI Cooper S Clubman - Only 3,291 Miles! Leasing for above average qualified buyers through MINI FS $219 plus tax per mo. for 36-month term. Based on selling price of $31,750. Original MSRP $37,250. $5,614 due at signing includes first months payment, acquisition fee, dealer documentation fee and license/registration fees. No security deposit required. All advertised prices excludes government fees and taxes, any finance charges and any emission testing charge. Lessee responsible for excess wear, tear and mileage over 30,000 miles total lease term @ $0.25 per mile over allowance. Vehicle was previously in service loaner. One at this price stock #ML19075L/VIN K2E51704. See dealer for complete details.